It won't squish delicate marine life. Remote-controlled robot arms allow submersible operators to perform tasks underwater. But can you imagine a rigid metal limb interacting with something as fragile as jellyfish or corals? To be able to capture or interact with marine life, scientists need something softer that can touch delicate living things without squishing them to death. That's why a team of scientists from Harvard's Wyss Institute has developed a soft robotic arm that can "move with unprecedented dexterity to grasp and sample delicate aquatic life." Scientists from the institute have been developing soft robots for marine research for quite some time. This particular creation's a bit cooler than the others, though: it's controlled by a glove equipped with wireless sensors, so scientists can channel Tony Stark and wave their hand around to control the machine. They can bend and rotate the arm simply by moving their wrist, and they can open and close the robot's grippers by curling their index finger. The method gives them more control over the machine than, say, a remote controller or a joystick can. 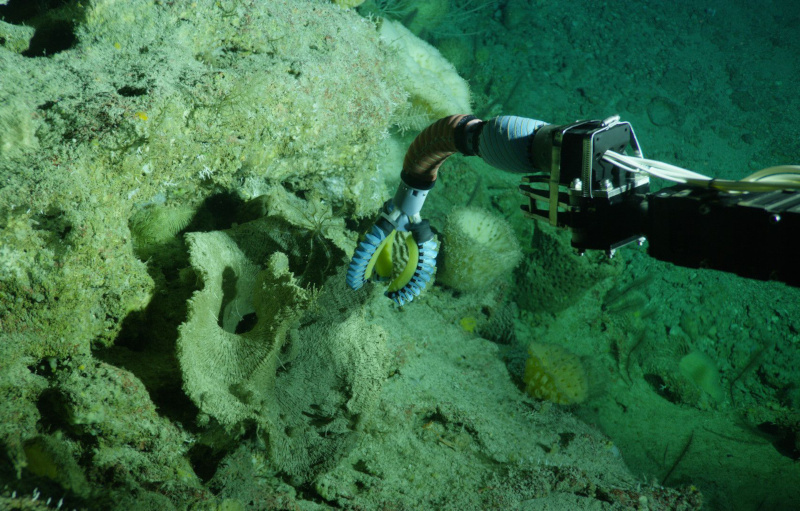 "The currently available subsea robotic arms work well for oil and gas exploration, but not for handling delicate marine life -- using them is like trying to pick up a napkin with a metal crab claw. The glove control system allows us to have much more intuitive control over the soft robotic arm, like how we would move our own arms while SCUBA diving." In the future, the group's creation could lead to underwater labs, because there's no need to bring samples to land anymore. What they discover from their research could also be applied to medical devices that need to interact with delicate organs.